This is a rich, ripe wine with a texture as voluptous as it is viscous. 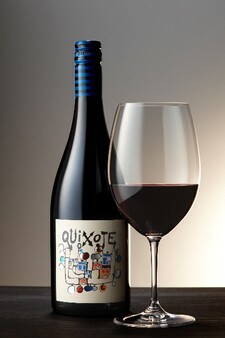 It is dense purple in color, offering complex spice and dark fruit aromatics. It is well-layered with intense blackberry and dark fruit characteristics that linger on the finish, working in concert with the kind of earthiness we've come to expect from our Stags' Leap Ranch vineyard. It's soft enough to drink now, but has the structure for aging at least another decade.